See a 33-step fix list for a 1998 V70... this takes it from borderline non-roadworthy to showroom drivability. Brakes, transmission, engine, interior, etc. MVS Contributor Sledddriver goes on an multi-month blistering repair & fix odyssey, taking his 1998 V70 T5 from the edge of roadworthiness to 100% functional and reliable… all for not even $1000. This is Stage 0 and way, way more. Following up on Tryingbe’s theme [of restoring to 100% a P80 Volvo], here’s a list of sled-work performed over the past eight months. I did all of it myself, except for the alignment. It’s occupied ALL of my free time + badly encroached on lots of other time I usually spend on other tasks like yard work, house maintenance, contract work, woodworking, exercise, social visits, etc. Original ETC sensor went Tango Uniform, making the sled very difficult to start in 50°F weather. Female socket crumbled. Will rebuild later. Found Volvo part in BA box locally for $27. ECC lost it’s head, blowing 100% HOT air towards drivers side. Pulled ECC code indicated a faulty driver temp control damper motor. Pulled & tested; it was fine. Extensive schematic reading & voltage testing revealed the ECC was itself faulty and wasn’t capable of testing itself: Above ckt had a faulty motor driver that wouldn’t reverse polarity. $100 for local & on-line used part. Got lucky and found one in a PNP for $16 that actually worked. Also discovered fault in Autodiagnos’ motor calibration program. Discovered turbo WG severely out-of-spec. Unfortunately, it’s been like that since 1998 when I bought the car used from a dealer. They must have detuned it when it served as a loaner…. Leaking WP gasket discovered. Later fixed…..
T-stat gasket split, causing coolant leak on garage floor. During replacement, discovered upper original radiator hose was coming apart from the inside out. Discovered TB was riding outside of the TB idler pulley upon inspection! Warned to not drive the car until it’s fixed. Replaced WP gasket, TB, idler & ten pulleys with OEM parts. These pulleys were all worn after 7yrs/70 kmi. New TB rides in the middle…where it should. All coolant hoses save for heater, replaced with OEM. Remaining turbo compressor vacuum hose also replaced. Power steering boots torn; rack’s been leaking for years. Installed new boots. Flushed PS fluid. Added AT-205 which actually stopped the leaks! Cleaned up the mess down below. Leaks stopped and pump no longer noisy. Outer TR boots torn. Replaced with Meyle HD outer tie rods. Sled needs an alignment. Coolant tank cap replaced last year has now split. Installed a better part. Broken plastic clip on front air dam repaired so it latches once again. Misfire codes pulled. Bougi wire set displays blue glow after many years. Needs replacement. Tracking found in dist. cap & rotor. Both cleaned up and plug wires replaced. New spark plugs installed. ABS light illuminated after a long period of darkness. Investigation reveals previous fix finally failed. One bolt head stripped during removal. Ground off with Moto-tool. Motor terminals fixed again by widening contact with board. Reinstalled and ABS light now off. New bolts installed. Both front wheel guards reinstalled with new rivets. Brake pads on all four corners replaced. Rotors OK. Brake fluid flushed with new. Cabin air blower speed very unstable on original OEM blower. Investigation revealed the commutator flat worn out. Replaced with new unit. Evap. core also cleaned and new cabin air filter installed. Radiator fan began running with key out. Fault traced to faulty ETC female socket mentioned earlier. Extensive corrosion noted. Wiring & socket replaced using tinned copper, teflon-insulated wire. Discovered large, rigid, plastic PCV line from sep. box to intake was cracked just below distributer, rendering system inoperative. Fixed cracked section with a 4″ section of silicone vac hose until I’m able to update hose per MVS recommendations. (Entire PCV system was replaced previously and this hose was cracked in-the-same-place! Fortunately no clogs were detected due to 100% synthetic oil use). Rotted bumpers on both rear seat latches replaced with a pad of Sonneborn NP-1. Upon replacement of upper torque bushing, discovered Meyle replacement was too small! Previous OEM unit was reinstalled and remedy sought from Meyle. All electric door latch mechanisms began to slow/fail in Summer heat. Passenger door lever frozen; unable to open door from inside. Internal fault was worn out plastic, allowing metal cable holder to shift. Fixed with a brass screw. All four latch motors were cleaned, lubricated, as well as latch mechanisms. Multiple failures on adhesives used on HD polyethylene, allowing motor cover to seperate inside, disabling latch. Finally solved using UL-181BX acrylic adhesive duct tape. Several internal door panel mounts failed during the above and needed to be reglued to ensure panel would remain tightly in place. RR door latch mechanism later quits due to internal spring failure. Obtain PNP replacement and rebuild as above. Wicked P0-455 code returned: GROSS Evap Leak. Later traced to faulty 6 mo. old OEM gas cap seal. Replaced. Went away. Now it’s back in Sept! Found (some) fog light parts @ PNP. Finally secured all save for shortened air dam inserts. (Still looking….). Went for alignment only to be told by one shop rack is too worn! Odd that….went to another. Thrust angle off to driver side. Front end over toed-in by 3X too much. Steering wheel recentered. Noticeable improvement in ride quality & lower vibration. Haven’t added any fluid to PS rack for months now! Oil and coolant spots on garage floor. WP gasket leaking due to not using new bolts. Didn’t realize at time of replacement some bolts exit the rear! Leaked stopped with new bolts which come with RTV on threads. Noticeable steering wheel vibration over speed bumps, rough roads and upon start traced to absence of lower, metal knee bolster which serves to tie wheel mount to both outer and inside console. Reinstallation eliminated all wheel vibrations. Pass. side bolster & cover also reinstalled along with glove box. (This was all previously removed while troubleshooting ECC fault noted above and later for fog light relay installation). Inspection revealed front, lower torque and both hydraulic motor mounts were Tango Uniform. Explained sharp, coarse, “crashing” of front end over rough roads & pot holes. Replacement of all was a major undertaking without a lift or engine hoist, but results were well worth it as lower torque & both hydrau. motor mounts were original (18yrs old). Engine sits much higher in bay and easily rocks by hand. Back end of motor no longer sits on sub-frame. Oil discharge on pass side diagnosed to leaking 7yr. old front camshaft seals last replaced by indy. Removal was quite difficult as they were fossilized in place and came out in pieces. New seals installed. Mess cleaned up yet again and no more oil nor coolant leaks in garage!! I’m finally finished…nine months later. Quite a marathon of work…one-thing-after-another-after-another. No wonder people ditch these cars. Not sure how much all of this would cost if someone else were to fix it. $4000? $5000? $6000? I spent about $550 in parts and fluids. No doubt I left out a few things, like a lot of time spent cleaning grease, oil, coolant, grime off the underside. Makes me tired just typing it all! However, it is ALL NOW DONE and behind me, and no longer leaks, and rides very nice. Shocks, struts, spring seats, upper strut bearings, lower control arms, CV joint boots, tires, extensive P0455 dragon slaying, were all replaced last year & year before. (Even more work and $$$ to add to the list…..). I bought the sled from a local dealer in 1998 with 12 kmi on the odometer. Current mileage is about 214,500. She came out of the factory in Aug. 1997, so she’s officially 19 yrs old! Never owned any car this old, nor this long. Previous milestone was a 1985 SAAB 900T I bought new, drove for 14yrs and racked up 256,000mi on many journeys. Gas was MUCH cheaper then plus I had more time for car trips, camp outs, travels. Lots of great memories. The SAAB was MUCH easier to work on, much simplier systems too. More room with an in-line four cylinder. I’ve driven Swedish Steel only since 1985 and only two cars. Hard to argue with that. There have been times though………………….. I have gained a GREAT RESPECT for all mechanics that do this work, day in and day out, in the heat & humidity and constant grime, dirt, oil, coolant, not to mention customers complaining about the bill. Cheers & beers to yall. Prosit! Caveat Emptor to any & all who would pick up one of these old cars “cheap” without knowing or turning their own wrench. You’ll either soon learn or go broke trying as both your patience & wallet will be sorely tested! 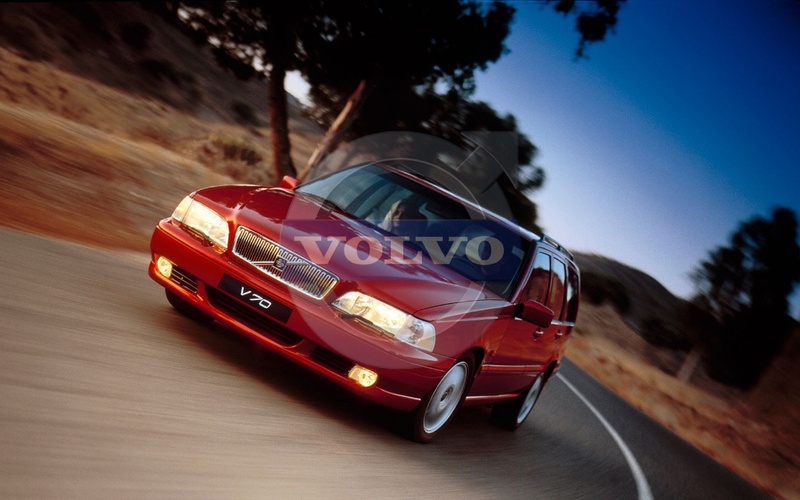 1998 V70 T5 214,000 miles. Original Owner. Newbie here- trying to help an older friend with his 2000 V-70. Transmission locked up, and was towed to a local foreign car garage. Swapped out trans with a used one. Driveable, sort of with codes..Code # P0600…We think that its the TCmodule. I couldn’t find P0600 in the DTC list, but I think the scan was right. Had the car towed to the dealership for reflashing of the computer to align the TCM with the ECM. No joy. This ordeal has taken several months to get to this point and he is getting more discouraged as the days go by. Can anyone please help? Thanks.